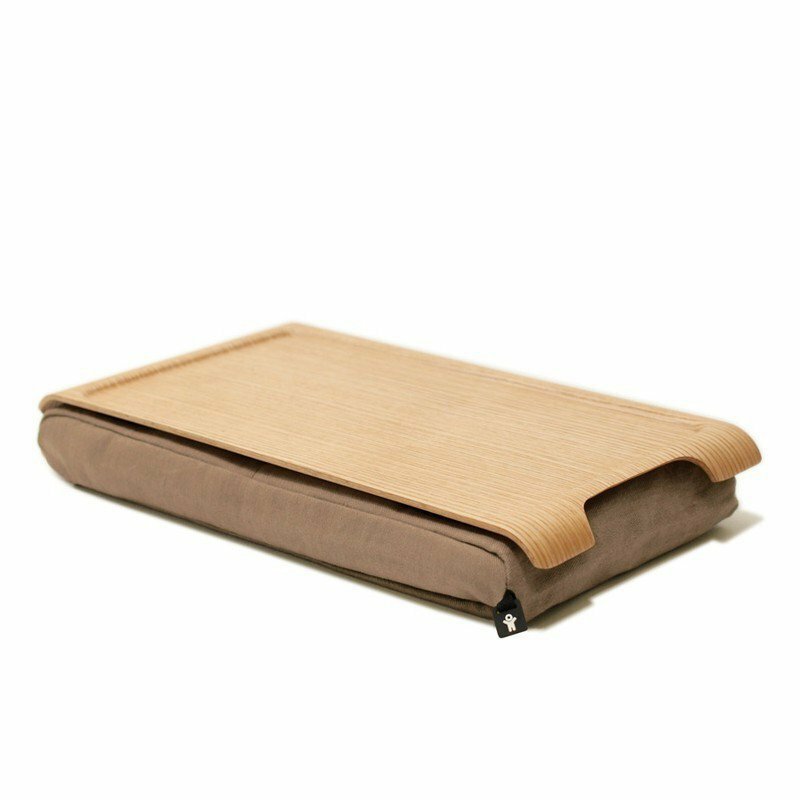 This is a nice compact willow tray under which is fixed a cushion: this allows you to place it on your knees without having the tray slipping whilst giving it better stability and guaranteeing comfort and thermal isolation for your knees. 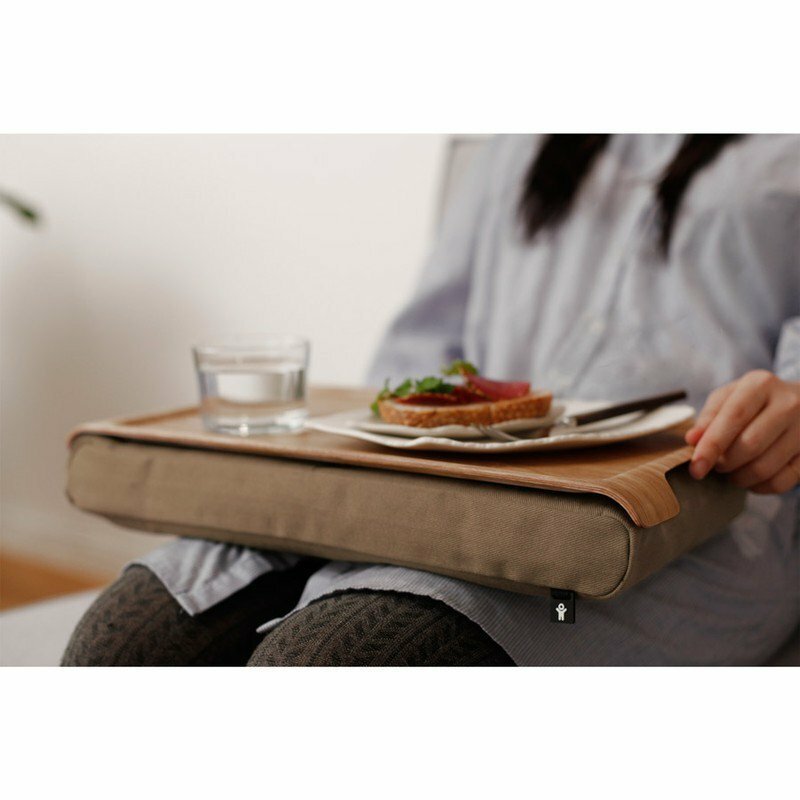 The cushion cover is removable (velcro system) and can be machine washed at 30°C. 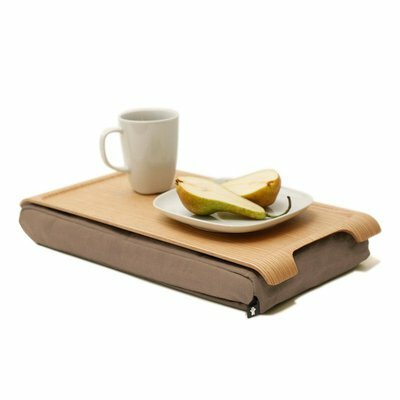 The tray can be cleaned with a sponge or a damp cloth. 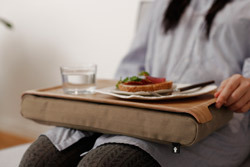 organic - except for the velcro, a completely organic product: sand, cotton and willow wood! 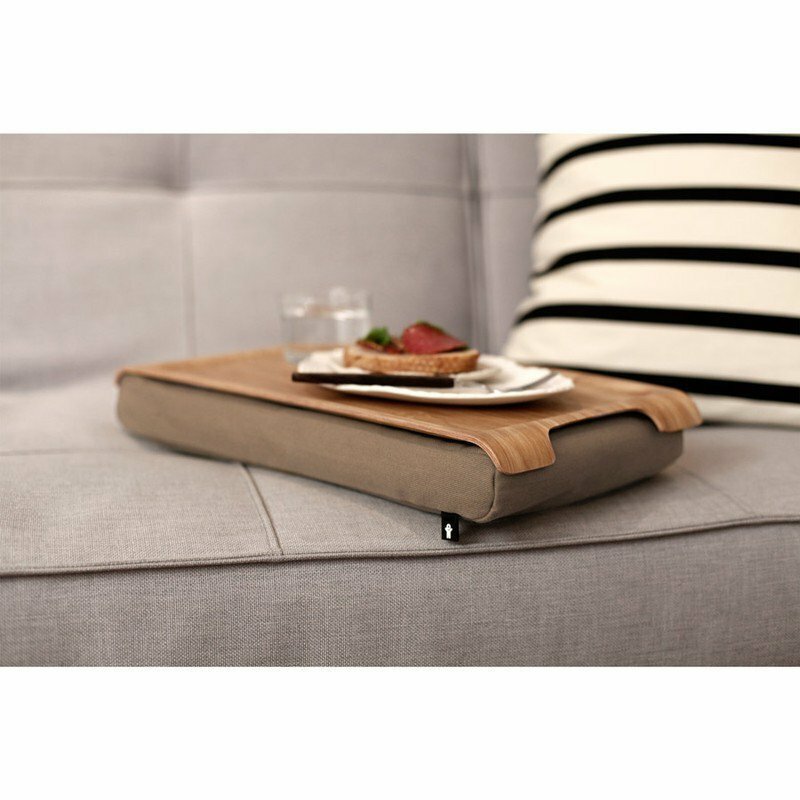 functional design - a small rim that stops objects from leaving the tray, a pretty and comfortable cushion, notches for a good grip: it is well and truly a Swedish product.